Plan on Restoring an Older Home? Not many can resist the allure of a century home. They are unique, come with a high level of prestige, beauty and charm, and are typically in a great location. There is also the great feeling of pride when preserving a piece of your city or town’s history. When looking to restore an older property, you have to ask yourself how you intend to bring your century home up to modern standards without sacrificing the history of the home. What surprises are waiting for you behind the walls and underneath the floorboards? After the renovation, is much of the home is able to be kept intact? With a solid approach to interior design, you can restore your home with the respect it deserves, while also creating a beautiful modern living space. However, before you can get to that step, you need to know what you can expect with your older home. Here are a few considerations you may have when restoring your home to its former glory. They don’t build homes like they did in the good old days. For many reasons that can be a bad and a good thing. While the bones and building materials of older homes are built to last, some elements of the home may have been built with standards that wouldn’t hold up today. 100-year-old wonders are known to hold many surprises. You could expect several issues to appear during the home restoration process – especially if it has been relatively untouched for several years. Many issues are instantly noticeable, but others may only appear when the renovation begins. The best way to get through this process is to identify as many of the issues beforehand, so they don’t become a shock during the renovation process. Should the Home be Gutted? Gutting your home does has several benefits in terms of spotting issues like water and insect damage or structural deficiencies lurking behind the walls and floorboards. It’s important to determine before making this decision if it is truly necessary – especially when vintage details are present. There are some rooms with issues where a full gutting can’t be avoided. See what you can do to work with the existing tiles or floorboards, and consider opportunities to incorporate them into your remodel. There is a great advantage of incorporating the history of your home or the community into the design. Who lived there before you? What did they do? What did they do in certain rooms of your home? What styles existed back then? Try to do some research on your home and community. You might be able to find some inspiration for themes and design opportunities. 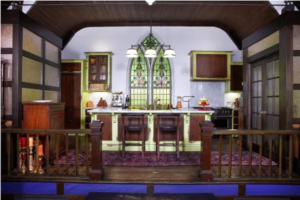 On the topic of design that tells a story – a few years ago, we were given the task of restoring an old Anglican Church from the country into a home. In honour of the structure that stood there before, we were able to incorporate elements of the church into the home’s design. What was once a place of worship is now a breath-taking home that is truly one in a million. 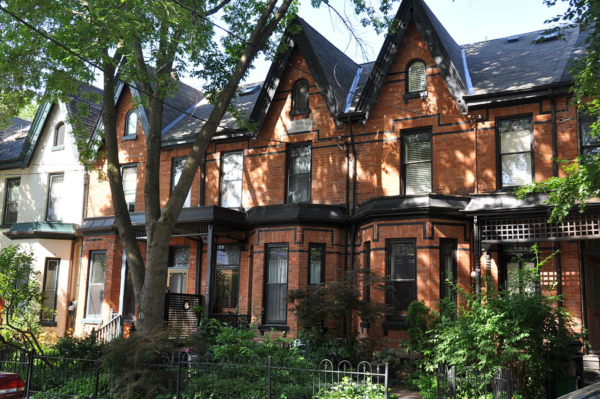 Restoring a century home can be a large undertaking but extremely rewarding. To make sure your old home is properly brought into the modern century, speak with professional interior designers who are equally as passionate about preserving historical homes.